From sunny brights to murky dark shades, yellow is a color I love to wear during Summer, and Fall. 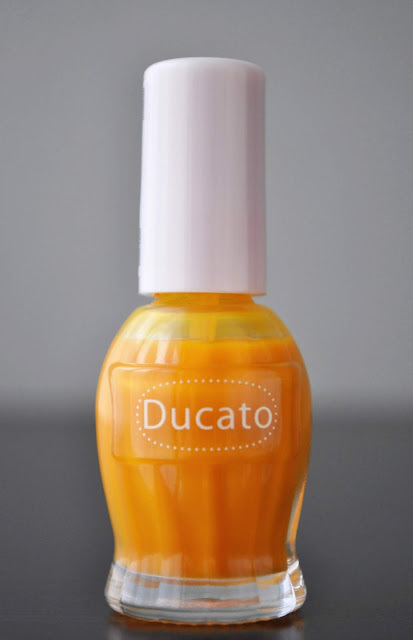 Ducato's Sunny Side Up is a polish I'm going to get a lot of wear of during both seasons. But, for now, let's focus on Summer. As I was writing the color description for Sunny Side Up, I couldn't recall its name. And, when I read the label, I thought, "how apropos" because this polish is just that, an orangey-egg yolk yellow, with a jelly finish. Being that this is a jelly, and try as I might, I know it's going to be difficult (if not impossible) to achieve full opacity. However, I don't mind applying multiple coats, especially for a shade I like, to get the results I prefer. Now, I will admit, I did cheat. I trimmed my nails a bit, so the nail line wouldn't be so pronounced; thus, making the manicure appear more opaque. I'm wearing five coats of Sunny Side Up, and you can still see my nail line peeking through. Looks like I'm going to go through this bottle very quickly! This is my second time wearing Sunny Side Up, and from what I can remember, it wore for a full four days. What are some of your favorite Summer (or Fall) yellows? I hesitated to get a yellow polish, but CHANEL Giallo Napoli, but it has a touch of red, and it is actually wearable, at least on my skin tone. 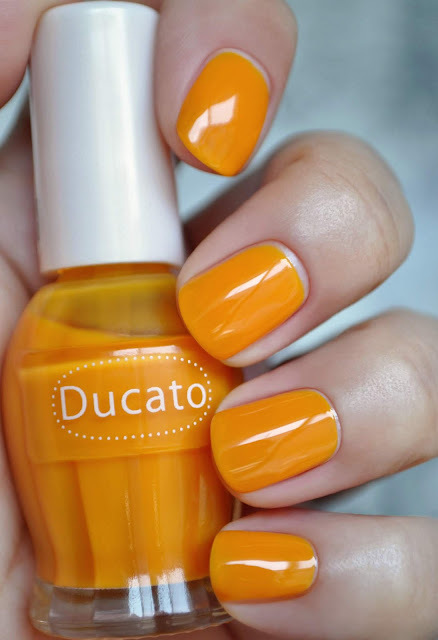 This nail polish is beautiful! Really, you discover the finest beauty items! I also picked up Giallo Napoli <3 I wish I could mail polishes out to you. I may be in the states during the end of the year. Would you like me to send you a bottle then? I have done something wrong and I don't take notifications for your replies... I saw just now, your comment.